This book has some wonderful recipes in it. Perfect for a Panini beginner & easy to make recipes. I purchased this after buying a Panini maker on Amazon, I'm looking forward to making several of these recipes. By the name you would expect this book to give you some of those restaurant recipes from your favorite italian sandwich shop of the East coast area. But there is no bread recipes at all. Only to buy those made by your local bakery. There are some very good filling recipes though. Fresh bread, cheese, veggies, meat, seafood --- all combined into delightful fares, such as sandwiches, snacks, etc. 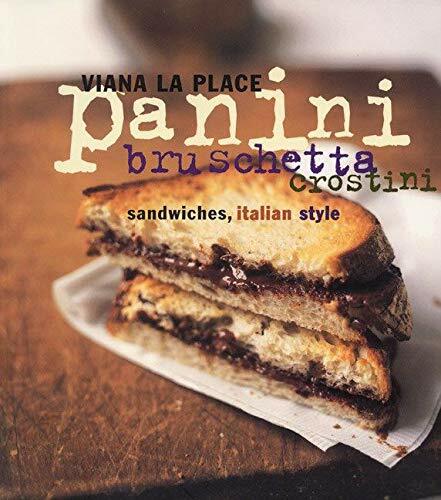 Fond of Goat Cheese and Roasted Pepper Panini; Swordfish and Arugula Panini;Insulata Russa and Shrimp Tramezzini; Polenta Triangles with Peppers and Gorgonzola;Toasted Bittersweet Chocolate Panino;Ice Cream Sandwich, Italian Style. Well done with photos, instructions and pointers. Refreshing, great additions to a menu or as a stand-alone snack or dinner. Picture a magical, sugar-fueled road trip with Willy Wonka behind the wheel and David Sedaris riding shotgun, complete with chocolate-stained roadmaps and the colorful confetti of spent candy wrappers flying in your cocoa powder dust. If you can imagine such a manic journey--better yet, if you can imagine being a hungry hitchhiker who's swept through America's forgotten candy meccas: Philadelphia (Peanut Chews), Sioux City (Twin Bing), Nashville (Goo Goo Cluster), Boise (Idaho Spud) and beyond--then Candyfreak: A Journey through the Chocolate Underbelly of America, Steve Almond's impossible-to-put down portrait of regional candy makers and the author's own obsession with all-things sweet, would be your Fodor's guide to this gonzo tour. With the aptly named Almond (don't even think of bringing up the Almond Joy bit--coconut is Almond's kryptonite), obsession is putting it mildly. Almond loves candy like no other man in America. To wit: the author has "three to seven pounds" of candy in his house at all times. And then there's the Kit Kat Darks incident; Almond has a case of the short-lived confection squirreled away in an undisclosed warehouse. "I had decided to write about candy because I assumed it would be fun and frivolous and distracting," confesses Almond. "It would allow me to reconnect to the single, untarnished pleasure of my childhood. But, of course, there are no untarnished pleasures. That is only something the admen of our time would like us to believe." Almond's bittersweet nostalgia is balanced by a fiercely independent spirit--the same underdog quality on display by the small candy makers whose entire existence (and livelihood) is forever shadowed by the Big Three: Hershey's, Mars, and Nestle. Almond possesses an original, heartfelt, passionate voice; a writer brave enough to express sheer joy. Early on his tour he becomes entranced with that candy factory staple, the "enrober"--imagine an industrial-size version of the glaze waterfall on the production line at your local Krispy Kreme, but oozing chocolate--dubbing it "the money shot of candy production." And while he writes about candy with the sensibilities of a serious food critic (complimenting his beloved Kit Kat Dark for its "dignified sheen," "puddinglike creaminess," "coffee overtones," and "slightly cloying wafer") words like "nutmeats" and "rack fees" send him into an adolescent twitter. OK, so I am not a candy freak, but certainly a fan. Plus, my hometown is also home to M&M's/Mars Master Foods. And after reading the People Magazine review, I made a mental note to read this book. I was not expecting it to be so funny. In fact, I didn't know what to expect really. I mean, I book about candy? How coud he write a whole book about candy without it coming off like a technical guide? But he did it. And I am grateful. Almond might not be so grateful that I have passed my copy on to three others to read (everyone finished it in about 2-3 days). I sure he would prefer everyone buy their own copy. So, I am doing my part in telling you to get your own copy and prepare to laugh. And to have sugar cravings. If you have any sense of awe in regard to childhood, and Americana, Candyfreak is worth your time . Reading this book reminded me of growing up, hanging around the candy store (or counter), and the salivation of opening the wrapper of newfound sweetness. Candyfreak is what its name infers, but aren't we all that way too? Almond writes with pulsing personality and sensual joie de vivre. This book is a unique mix of journalism, obsession, and personal revelations. The weakness... visits to the candy companies become repetitous. The strength... scenes of the author's childhood, his frailties, his stabs at adult love, and his disquiet about America. Almond's most poignant writing involves his sadness and doubt. Read this for his courage and candor, his observations on our individual quests and our strange society. Imagine an adult who is just as fascinated by candy as he was when he was eight years old. That is Steve Almond, mid-thirties, English professor, candyfreak. It's even better being a candyfreak when you are an adult, because you can buy all the candy you want. And you can even eat all the candy you want, if like Almond, you are an ectomorph who never gains weight. 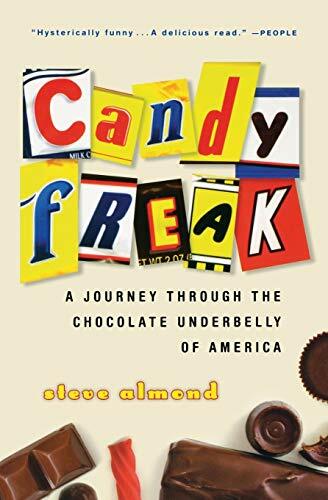 Candyfreak, the book, is a journey through the history of candy in America, and one man's relationship with candy. When Almond is talking about candy -- visiting candy factories, reminiscing about candies past, or discussing the attributes of candy, he is quite good. I enjoyed being reminded of some of my old favorites such as U-No and Kits and Sixlets. But when Almond gets more personal, I found myself skipping chunks of the book. This surprised me, because I usually like memoirs and personal essays. I found I just didn't care about Almond's personal quirks or even his politics, even though I usually agreed with him. An index would have been helpful, to look up those specific candy bars you are wondering about. Even if you think you aren't interested in the history of candy bars or in candy trivia, you will find yourself compelled to find out what is in a candy bar called "Chicken Dinner" or "Vegetable Sandwich," or why it's called "Three Musketeers." This is the book to buy to get dinner done fast and still have a meal the whole family will enjoy. There are more than 300 recipes for everything from appetizers to main dishes to desserts-all ready in thirty minutes or less. Readers will love innovative dinner solution ideas like Pantry Recipes and 1-Step Recipes that provide cooking options even when there's no time to shop. This book is great for my busy lifestyle. Plated desserts--artfully arranged confections prepared from multiple components--are a modern restaurant mainstay. In Grand Finales, authors Tish Boyle and Timothy Moriarty present 53 such creations, the work of 23 leading American pastry chefs who have been challenged to make "neoclassic" versions of traditional desserts. Thus, for example, tart tatin, the venerable French apple galette, is reconfigured by chef Lincoln Carson as Pear Tatin with Vanilla Ice Cream and Caramel Sauce. Like the other recipes in the book, the pear tatin requires multiple subpreparations (in this case 5, though 7 to 10 elsewhere is not unusual); frequently large recipe yields (72, in one case), ingredient quantities given by weight, and restaurant-ingredient "call-fors" (like isomalt and trimoline) further alert us to the fact--unstated--that the book is for professionals. 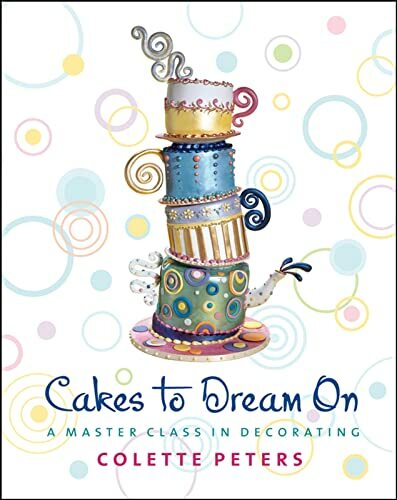 This said, general readers may well be intrigued by the talent and technique on display in 105 color photos of the unquestionably gorgeous desserts, and by the useful, often fascinating information on pastry history and production that the book provides. I'm a pastry student. I bought this book because I needed ideas for my projects. This book presents classical desserts with a modern twist. A very useful resource. I thought that this was a great book. As stated above; by other reviewers, this is not a beginner's book although not one that is entirely impossible for beginners to follow. I bought this book for reference for an upcoming ACF sanctioned event. I am rather new to this field but will be competing in it. It has many great ideas and alot of the deserts where displayed beautifully. The preparation of many garnishes where not explained but these are easily found on the internet. I recommend this book to anyone looking to not just excel but have fun in the pastry field. I feel that this book didn't project the pastry that people are interested in today. Pastry is like a fashion show, you put your best most tasteful and fashionable out to the public. The fashion is not overpowered by the accessories.. The dessert should be able to project itself alone.. In this book the desserts were lost among all the garnish.. I agree with the previous reviewer this book is not for beginners. BUT what a book! The recipies are great, and presentations wonderful. The portions, sometimes serving 20 need to be reduced, and measures are in weight (took me a minute with 10 oz eggs). If you're a veteran baker you'll have a book that challenges-- and rewards with plenty of wow appeal at your next dinner party. Not only a great cookbook but a journey through cultures! I was fascinated by all the earlier books by Mrs. Batmanglij but her latest book has a special place in my heart. I cannot do enough to highlight this book's difference from the majority of other cookbooks that are out there. This is not only a flawless book with a vegetarian approach, but its approach is one of great originality: The beautiful recipes are accompanied by even more beautiful pictures and stories of the land and its people. It leaves us with so many great choices to try, designed to fit any situation: Georgian Stuffed Tomatoes for a warm a fall evening, and Sweet and Sour soup for a cold winter night. Unlike many other cookbooks, this book takes us to the world it is borrowing its recipes from: the Silk Road, a world where different culinary cultures are and have been connected to each other, crossing the mountains and deserts of Central Asia to connect East Asia and the Mediterranean. In a way not known to many of us, the Silk Road was an important cultural crossroads and this book celebrates that. Get this book, and you will not only have gotten a great cookbook with recipes of wonderful tasting recipes covering a great part of the world, but you will also be exposed to a beautiful culture - more so a mix of many cultures- that you will be able to see through the beautifully placed stories and pictures. This book is simply magical and quite unique. It carries you on a timeless culinary journey from Genoa to Shanghai, weaving in the mystical writings of Rumi, beautiful pictures of local people, anecdotes that make the rich heritage of the Silk Road come to life, and recipes with pictures that -- well, you just might start smelling the pages. 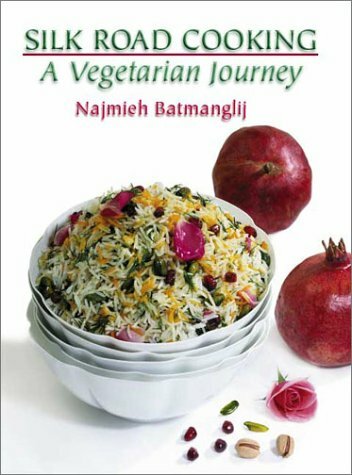 This is my third cook book by Mrs Batmanglij and I'm so happy to finally have a vegetarian approach to some Middle Eastern and oriental recipes. Not only will you learn about wonderful and creative dishes, you are guaranteed a flawless recipe, uncomplicated and easy to follow. Najmieh Batmanglij's Silk Road Cooking is a valuable addition to the great treasure house of Silk Road culture. With remarkable insight, a wealth of facinating information combined with beautifully nuanced stories of the land and its people, the author takes us along with her on this most rewarding journey of culinary discovery. I have the pleasure of collecting all of Najmieh's cook books over the years, and I have tried many of her recipes in this and other books with joy and pride. In this book, the Silk Road is not a fabled tale of exchanges of wealth between the East and the West, but something we can see, we can touch and we can taste! In a cool night, make yourself a bowl of that simple and cozy Beijing Hot& sour noodle soup; or try Persian noodle soup garnished with garlic, onion, mint and yogurt, my favourate winter treat. To your perfect lunch/dinner party, complete it with Najemieh's Georgian rice salad with tart cherries or Amoli rice salad with barberries. They are easy to make, pretty to look at, taste wonderful, and they are absolutely great crowd-pleasers at any parties. More than one hundred thousand people had weight loss surgery in 2003, and as those pounds continue to drop, the number of people opting for the surgery continues to rise. This book is absolutely wonderful. Susan Maria's story is inspiring and true to her heart. She is a wonderful example of someone who has put their mind over matter and made a difference in the lives of the pre op person and especially the post op person. The recipes in the book look amazing. I haven't tried any yet but only because I just got the book and haven't had time. But I have tried recipes from her website bariatric eating.com in the past and those have always been delicious and quick. The book is top notch as is Susan Maria. Two thumbs UP!! Wow, just what I needed!!! This was exactly what I needed to read after my operation. 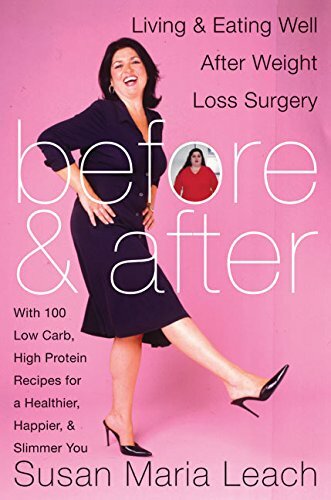 This book gives hope to people having RNY that food can still be something that we can look forward to and still enjoy post-op. The chapters on pureed and soft foods and shakes are perfect for the early stage that I'm in. I found that there were simple recipes as well as fancy recipes. They all sound wonderful and the ones I've tried so far have been incredible. Thank you Susan Maria!!! I enjoyed this book cover to cover! This is an excellent book for pre or post ops. I loved reading of Susan Maria's escapades while she lost her weight. She writes about going to parties, on vacations and out to dinner. I understood her reasoning behind her food choices and can make better choices on my own because of her examples. Every recipe has come out perfect and has been delicious. My favorite is SF banana bread using banana protein powder in place of flour. There are several people who are visciously attacking Susan Maria on some of the MSN message boards, and some of the one star reviews reflect a joint effort to undermine her. Dont let these bitter people talk you out of buying this wonderful book that will help you greatly in your post op life. I hope that some of the bad reviewers get the psychological help they need. To launch a personal attack on a writer because "you are smaller than they are" is juvenile. Susan Maria always speaks highly of Carnie Wilson, and if you actually read Before & After you would know this. A great read! Jamie Oliver's first book based on his television series (no, the title does not refer to the chef but instead to his philosophy) is a fine entry in the cookbook market for those who prefer their meals on the plain but flavorful side. Oliver excels in simplicity. His stripped down recipes are easy to follow and don't require a lot of imagination to guess how they will taste. For example, his six recipes for salad dressings fit on two pages; the recipe titles describe exactly what one gets. While Oliver supplies a few recipes that I'll never try (Ravioli of Borage, Stinging Nettles, Marjoram, and Fresh Ricotta) and a few gourmet dishes (Spicy Squash, Basil, and Ricotta Tortellini with Crispy Herbs), most dishes will be familiar to those who dine out at mid-priced restaurants. The emphasis is heavily, though not exclusively, on pasta and Italian flavors. (For ambitious cooks, Oliver supplies clear instructions on how to made pasta at home.) Meat recipes are often plain, without sauces or exotic ingredients; you'll find roast chicken, slow-cooked lamb shanks, and pork chops with thyme, lemon, and pesto. The fish and seafood dishes tend to use off-beat (for Americans) ingredients such as sardines, whole trout, and skate wings, although pan-seared tuna, a staple in restaurants nowadays, makes an appearance. Desserts are uninspired. The strength of this cookbook is the no-nonsense style and the color plates that accompany the recipes. I recommend this for beginning cooks and those who have simple tastes and are looking for something new. Gourmet cooks, particularly those with a lot of cookbooks, are likely to find themselves bored with the selections. Easy to Re-create These Tasteful Recipes! I enjoy watching Jamie Oliver's cooking show, The Naked Chef, on the Food Network so I decided to purchase his cookbook and try the recipes myself. If you are like me and enjoy reading cookbooks as well as trying the recipes out, this book is for you! It is an interesting and easy read with great pictures. This young man is very personable in his writing style. I cooked for a party of 6 the Spicy Squash, Basil and Ricotta Tortellini with Spicy Herbs (pg 75) and got rave reviews from my friends. I love fresh pasta and the flavors were subtle yet surprisingly refreshing. I am looking forward to trying other of his pasta recipes. I am baking the Baked Chocolate Tart and making his Semi-freddo this coming weekend for a dinner party where I have been asked to bring desert. I can't wait to try and taste these two deserts. I am also looking forward to trying his soups plus the fish and shellfish recipes in the cookbook. 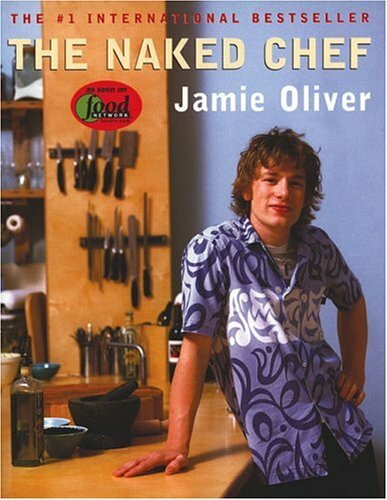 I recommend this cookbook, The Naked Chef. It is well worth the money to try these new and exciting recipes. Thanks Jamie for your creativity with food and love for cooking! Recently, a friend asked me if any books had changed my life in the past year or so. I thought for awhile, and responded, "Why, yes, I guess you could say 'The Naked Chef' has changed my life. Now, I love to cook!" What I love about these recipes, besides that they're delicious, is that there isn't a lot of fussiness: no exact measurements (except for the baking recipes, of course), no tricky little "tie each noodle in a bow" steps, no sinks full of dirty pots and pans (many of the recipes are "one-dish"). As a complete beginner, I was totally amazed by the clarity of this book. Jamie takes sophisticated tasting dishes and strips them down to the bare essentials, I couldn't believe that I was cooking up grilled salmon with black olives and basil in minutes. He made me aware of the importance of cooking with the freshest ingredients, that way less really can be more. I also liked the fact that his recipes were fairly health-conscious too without really trying to be low fat. I am ready to take it to the next level!!!! First, my copy was missing pages 143 to 178. Next, the recommended meals for my blood type (O) included fettuccine, white wine, French bread, shortbread (flour and butter), pinto beans, apple juice, cookies -- these are "avoid" foods! I recently visited Montreal and lost 4 pounds in 5 days, eating in French restaurants. Typical meals were fillet of sole Portuguese style (with a tomato sauce), with sauted vegetables on the side; or duck with orange sauce and candied grapefruit, with pineapple, blueberries, and other fruits. Dr. D'Adamo is right -- if I eat only meat, fish, vegetables, and fruit I lose fat and feel great. Plus I love this food. But that's not what you'll find in "Cook Right for Your Type." This book seems to have nothing to do with "Eat Right for Your Blood Type." I've been following the diet for a couple months and have lost more than 10 pounds. I like the little "Food, Beverage, and Supplement Lists" book. But I can't recommend "Cook Right for Your Blood Type." The results of eating the right foods for your blood type, and avoiding the ones you definitely should not be eating is amazing. I highly recommend this book as a companion for "Eat Right 4 Your Type"; they go hand-in-hand. However, I found the third book, "Live Right 4 Your Type" extremely repetitious of "Eat Right.." and "Cook Right..." The information provided in "Live Right..." was just too technical and dry to keep me interested. This book has a lot of informations on what to eat and what to avoid based on your blood types.... I have just speed read through it once, but I am going to reread it again...it does make a lot of sense about my blood type though..like what food I am supposed to avoid...I find the info quite useful..if you are new to the blood type diet as I am, you might want to try to borrow this book from your local library first before you buy it...a book worth reading.. I dug out my copy of Peter D'Adamo's ER4YT after being told to embrace the diet by my health care practitioner. I admit to being skeptical at first, the idea of blood type having anything to do with what you ate, how you felt and what kind of personality you had seemed a bit far-fetched. I also wondered how I would adapt to the largely unavailable whole grains and Omega-3 rich fish that I was supposed to be eating. Unfortunately, I live in an area where whole foods are considered extravagently obsessive and seafood means shrimp and crawfish, both no-nos for me on this dieting plan. My shopping is now limited to a once a week foray into the city to the only Whole Food Market in the entire metro area! Nonetheless, I find the on-going results positive. I am eating lots of fruit, fish, the occasional chicken and turkey enhanced by lots of soy products. I have even begun juicing again, taking my juicer down from the supply closet where it was placed when I was in my low-carb phase. I have discovered Ezekial bread which makes a fantastic toast which I admit to pathetically dreaming about while I exercise prior to eating. I purchased this book to supplement my rather scant knowledge of vegetarian and whole food cuisine and have found it more than adequate. Each food group is represented by recipes that are specifically labeled as A, B, O or AB friendly. In addition, there are specific A,B,O or AB ingredients added or removed in certain recipes to make them extra friendly to your type--a nice lagnaippe! I have subtracted a star only because it does not have as many fish recipes as I would like! Best of all,I find that I have not tested any of the snack or dessert recipes. The reason for this is simple: I HAVE NOT HAD ANY DESIRE FOR SUGAR and absolutely no desire to eat in between meals. Since my body is happily receiving what it needs, it isn't bothering me with the constant craving I usually experience when using a different dieting plan. On the digestive end, I have not had any bloating or stomach aches, and I have been able to stop taking a popular and expensive fiber therapy! Keep in mind that if you are a mainstream eater---meals out of a box, or junk food junkie, you are going to have a difficult adjustment to make when trying or just reading this diet through the first time. I would recommend eliminating and adding foods little by little--in fact it may take years---until you are actually adhereing to all the diet advice given in the ER4YT books. I say this from my own experience which tends to get tired and burn out when the change is too great. Give it a shot--it may take a while to see results, but I think your body's acceptance and performance will tell the real story. "How to Cook Everything" is the most useful cookbook I've ever owned. Each type of food has a "Basics" section which includes lots of preparation tips. The recipes themselves are detailed enough for beginners, and not so esoteric that you have to make a trip to a specialty grocery store every time you want to cook something. Especially helpful are the suggestions for expanding on each dish. For example, after the basic Chicken Kebab recipe, there are four modifications, including Chicken Kebabs in Yogurt-Cumin Sauce. I'm re-learning the way I prepare even the most basic things, like sandwiches and scrambled eggs! Who would have thought scrambled eggs could be so good? And the Pan-Grilled steak has weaned me from the backyard grill forever. No other cookbook would warn you that "clouds of smoke will instantly appear; do not turn down the heat." That bit of fear that your fire alarm will go off at any second just adds spice to the whole cooking experience. The breadth of this book is just amazing. Besides having nearly every type of Western cooking you can imagine, it also has recipes from Japan, India, Thailand, and... you get the idea. There is one drawback-this book has no photos, just a few hand-drawn illustrations. However, the book is just so huge that if it did have photos, it would probably cost much more than it does. This is a wonderful all-around cookbook, much easier to follow than the "Joy of Cooking". Cooking has always been my passion, but my creations were always fairly complex, adventurous dishes ... I never really learned how to make simple, every day meals. This book really helped me out with that! This would be a perfect gift for someone who has recently moved out on their own or for the single guy who needs a break from frozen pizzas! 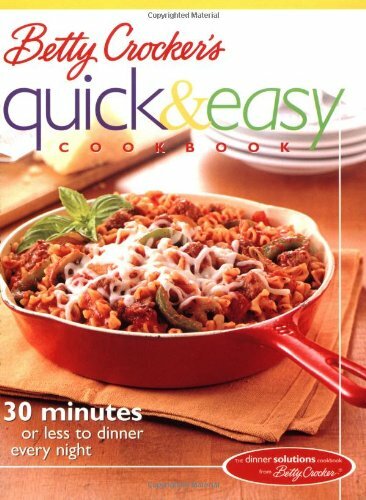 Even if most of the book were useless (which it is not), it would be a worthwhile purchase simply for the section entitled "28 Meals You Can Prepare in the Time it Takes to Boil Pasta" ... the recipes in this section are all simple, require usually less than 5 ingredients and can be prepared in just a few minutes. There are wonderfully detailed explanations in the books about simple, time-saving cooking techniques, as well as the reasons why certain things are prepared the way they are, so that the cook will have a better understanding of what they are doing. I would recommend this cookbook to everyone! I come from a restaurant family and am an avid collector of all types of cookbooks from vintage to Martha and I consistently grab Bittman's How to Cook Everything for how to "cut to the chase." His writing style is terrific for: explanations, definitions, useful tips and information, technique and recipes that I can't find in my vast collection of cook books. I must have in anyone's cookbook library. I have owned this cookbook for at least four years. When I first got it, I hardly cooked anything that didn't come from a box, can, or jar. I was afraid to deviate from the recipe and found most cookbook recipes too complicated, with too many ingredients. This book changed all that. In this book, you are encouraged to improvise, and helpful pointers for doing just that are provided throughout. Every section explains the basics of that type of cooking, then tells you how to expand on that. The fruit and vegetable sections are the best, with an alphabetical listing of fruits and vegetables, explaining how to select them and what to do with them. I only wish I had the copy with the CD-rom. Oh, and I wish it came in a ring-bound format, as my copy is falling out of its binding now from so much use (and many of the pages are a bit sticky)! I haven't done a lot of cooking in my life, and only recently I started cooking regularly for family. 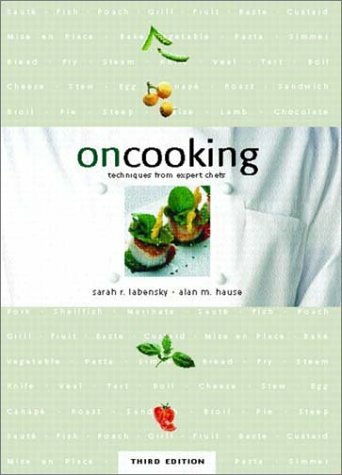 How to Cook Everything has been the only cookbook I've used in eons. Therefore, I don't have a good basis for comparison to other cookbooks. I can, however, compare the food I cook to what I eat and enjoy in restaurants. I've made about 40-50 recipes from this book. - It assumes you know virtually nothing about cooking. There are sections on how to mince garlic, dice an onion, core a bell pepper... For me, and for many others, it's great. Experienced chefs can easily skip these parts. - It's huge. It has an example of just about every (Western) food you might want to cook. Certainly, one could go much further in each area by buying specialty cookbooks. - The philosophy of the book is ideal for home cooking. Pick good ingredients, add minimal flavorings, cook, and serve. Most of the recipes are fairly quick. - The prep time of many recipes seems significantly underestimated, and often needs to be doubled. Maybe the time printed in the book is amount of time Bittman takes, but as more of a beginning chef, I can't fathom it. - Ingredients can be a pain to find, and what Bittman says is easily available in supermarkets often doesn't seem to be available anywhere around Harrisburg, PA (not exactly an out-of-the-way place), without checking dozens of specialty markets. What this and the previous statement mean is that cooking these recipes becomes significantly less easy to do after work. - My biggest problem is that the results, while generally good for home cooking, have been a bit hit-or-miss. I enjoy good restaurant food, and I'd like to think that I could cook the same quality food at home. Bittman's best recipes are excellent, food that I would praise in a restaurant, and it's a treat to find one of them. His worst recipes are purely average, or even a bit below. 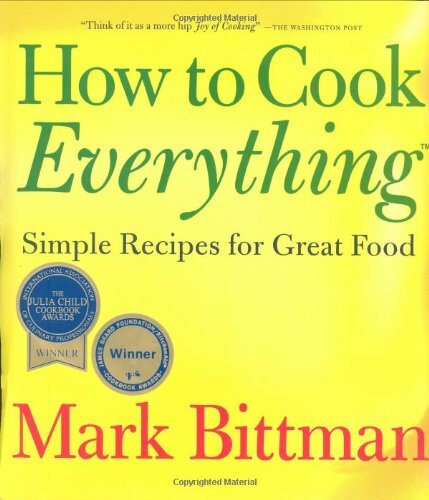 What I've surmised so far, although I've only cooked a small percentage of the book's recipes, is that Bittman is at his worst with foods that need a lot of added flavor or spice. I've noticed this in his Italian, Chinese, and Thai recipes - all of them seem to be clearly missing some crucial element of flavor. If I were more experienced as a cook, I'm sure I could identify what it was, but I'm not. I have been searching for a cookbook full of family weeknight dinner ideas and healthy foods for toddlers. I'm still looking. Although there is some interesting stuff here, including some tasty dips and a yummy looking recipe for finger sized breaded chicken pieces, I have to say I'm not thrilled. I feel like I have a lot of similar recipes elsewhere in my cookbook collection. Also, I'm kind of a food snob and many of the recipes that I'd like to try are not made from scratch. For instance, there are instructions for enhancing a boxed cornbread mix with broccoli. I almost never use mixes in my baking or cooking. On the other hand, if you need some simple and fast recipes because you don't really like to cook then maybe this book is for you. 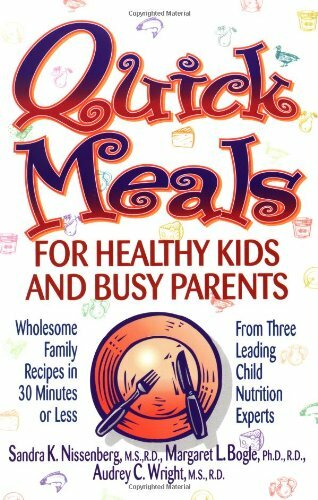 I have recently purchased several books with the same theme of making quick and easy meals, that are healthy and appeal to a wide varety of ages. This book has been the best of the three so far. I consider myself a good cook and other reviewers have critized the ingredients used in this book. True, the recipes do use some conveience items such as canned soup or baking mixes. But when I have just gotten home from work and want to prepare a decent meal quickly, I don't mind a few shortcuts. These shortcuts do not sacrifice taste. The recipes are easy to read, so the lack of pictures does not bother me either. It makes the book more affordable. My only gripe with this book is the title. Don't expect all of these recipes to be done in 30 minutes or less. About a third require longer cooking or baking time. I save those for the weekends. In short, this book gave me a lot of new ideas, none of the recipes take long to prepare, and I usually already have the ingredients for something from the book at any given time. Most importantly though, my son has enjoyed everything I've made so far! I bought this after reading the reviews here. I was looking for quick meals for families. I own many cookbooks. This was not worth the money. One thing that really bothered me was one of the soup recipes starts with using a can of soup. I don't care for cookbooks that use canned soup to start a soup recipe. Why bother! I think betty crocker offers better cookbooks for the money. Overall it's an okay book, but not quite what I expected. The recipes require not only a juicer, but a blender as well, and more time than I think most people are willing to give. The author also recommends using only organic produce and distilling or purifying your own water. Where does this guy live, and on what budget? Produce is expensive enough, let alone organic vegetables -- 99 cents for a regular cucumber or $3.00 for an organic one. Which would you rather buy for a juicer? I think the author's recommendations are idealistic, unrealistic, and not for people who don't have an unlimited budget and tons of time on their hands. There are plenty of other books out there. I wouldn't get this one again. This is a great book on juicing for health. It's very educational, teaching you about many aspects of juicing. Practical aspects of juicing, such as what to look for in juicers, washing vegetables etc are also discussed. Health benefits of different fruits, vegetables and supplements are presented. And of course, dozens of juices are prescribed for different health objectives such as healing, rejuvination of body and mind, etc. My husband and I bought this book about 3 weeks ago and we love it.We just found out that my husband has Hepatitis C and he has also suffered from severe migraines all of his life.We were looking for a way to naturaly treat his headaches so as to not cause more damage to his liver and your book has given us so much valuable information and guidlines to go by.I love the way this book is so easy to read and to look information up.I like the fact that Steve is not trying to get you to buy a "special product" that he has made to heal you,he just tells you everything you need to know about all the friut,vegetables&herbs that are already out there.No matter what you are suffering from, this book will help you treat it naturally with what you have in your refrigerator.I tell everyone about this book (even the people at the juice bar where we now get our wheatgrass).I have sold this book, through word of mouth, to probably no less than 5 people in the last 2 weeks. I keep telling my husband I should go on tour for this book (LOL).It is easy to tell people about this book because it is something I truly believe in.Just to let you know,My husband and I are not health nuts,vegetarians or anything like that but because of this book we take our health alot more serious and are slowly trying to turn our eating lifestyle around for ourselves and our children. 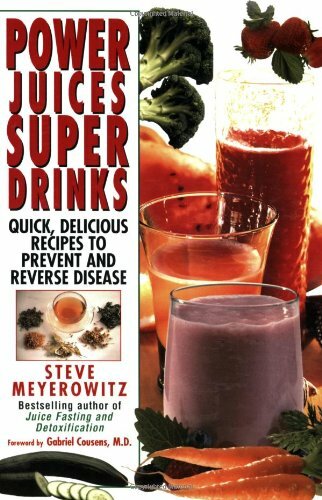 Power Juices Super Drinks is a wonderful book, full of useful information that is well- presented and easy to access. It is an inspiring treasure of information on healing foods and herbs, and their benefits for treating and preventing diseases. The material is presented clearly, with lightness and humor, which Steve Meyerwitz is known for! A major part of the book presents drinks, which may be teas, smoothies, citrus juices or other kinds of vegetable or fruit juices, for specific conditions. There are chapters on power drinks for the physical body, for the mind, and for longevity. The longest chapter, called "Power drinks - Medicine Chest", details nutritional therapies and recipes for 115 different health disorders. A tremendous resource on high power foods and herbs, is the chapter titled, "Nature's Finest Healing Foods and Herbs". It is this chapter which inspired me to start growing and eating broccoli sprouts, which contain fantastic amounts of valuable phytochemicals (plant derived substances). One type of phytochemicals is glucosinolates; Enzymes in the body convert these chemicals to isothiocyanates. One isothiocyanate, sulforaphane, is the strongest natural inducer of our body's own protective enzymes against carcinogens. These substances have been shown to reduce the incidence, rate of development, and the size of tumors. Broccoli sprouts contain 20 to 50 times more sulforaphane than the average adult broccoli plant! In three days you can raise a crop of broccoli sprouts containing as much sulforaphane as an acre of broccoli would yield in a year! This chapter is a complete pharmacopoeia of common foods and herbs, full of illuminating information. Another very worthwhile chapter is titled, "Nutrient Sources". This chapter lists vitamins, minerals, and enzymes, and provides food sources that are loaded with them. Good sources of calories, carbohydrates, fats and protein are also listed. People of all nutritional persuasions will appreciate this book. It can provide tasty new healthy drinks and teas for those just starting their journey towards natural healing. For the already enthusiastic, it can educate and deepen their understanding of many high-powered health foods. As a Nutritional Consultant, I find this book one of the most valuable resources for creating good health available today! I recommend that every household in the world get a copy of this book and use the recipes in it on a daily basis. Great health for the individual will be the result! The book is full of recommendations on the use of "food as medicine". "Power Juices Super Drinks" has over 100 common health issues listed. For each issue the author lists wonderful recipes, individual foods, and a wide array of nutrients and herbs that are helpful in addressing each of these various health challenges. This isn't just a recipe book. Sergei and Valya tell us how eating raw foods changed their lives dramatically. It's an interesting read for teens because the authors provide motivation to adopt raw foods in ways that teens can relate to. Also, parents are given advise about how to make it easier for their kids to eat raw foods. Lots of yummy pictures of raw foods, including un-chocolate cake and live pizza! There are 18 chapters of tasty, easy to prepare recipes. Each chapter starts out with helpful information about preparing the type of food in that section. For example, before the 14 delightful soups in the soup chapter, we're advised "If you want to make a vegetable soup, start by blending oil or avacado with some juicy veggie or fruit, then add spices and texture". This is only part of the info which will make readers confident to attempt these recipes, or create their own raw foods. I highly recommend this book for anyone who would like to know more about eating raw foods, or for those who have been eating raw foods and want more variety. Book written by teens, displays wisdom beyond their years. teens, displays wisdom beyond their years. The book is magnificently illustrated with drawings by Valya. 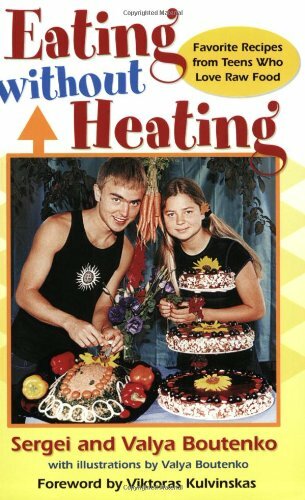 "Eating Without Heating is a guide book to all things raw. It is a treatise on the raw food philosophy. It is a cookbook. sauce. One example is an entire chapter on fermenting foods. food. Try this with cashews and chopped mango. recipes. I salivate at the thought of producing my own. mastery of culinary skills necessary to create such miracles. employs raw almond pulp with flax and caraway seeds. I read your book, Eating Without Heating. It's inspiring to see you and your sister writing a book like this. It's great to have male and female co-authors, everyone can identify!! I particularly like how you shared your struggle with diabetes. I also like how you went to college early too...that was a GREAT idea. I'm 38 years old but your book speaks to me quite clearly as well. For me the past year has been one of overall self-discovery, both spiritual and physical. I'm seeking an overall balance in my life now, and getting back to basics (including food) is part of my plan. I'm glad you wrote the book...it will help me along my path! Sergei was overweight and diabetic. His mother, fearing he would die from diabetes as did his grandmother, went on a search for a healthful diet. She switched the family to raw foods--nuts, salads, blended vegetables to make cold soups, and dehydrated vegetable and seed purees to make "bread." The teens Sergei and Valya tell how to manage in a world where junk foods and drugs are persistent menaces in school. Sergei's cracker recipes, made of ground flax seeds and pureed vegetables that are dried, are so delicious you won't believe it. And there are recipes for "cakes", smoothies, soups, and all look amazing. If you have an overweight teen who is suffering from ill health, maybe these teens will inspire him or her. I now have four low-carb cookbooks, but this is the one I use every day. You don't have to be an expert chef to make the recipes in this book, and except for the bread and dessert section, you don't need a whole lot of special ingredients either. (Look folks, making low-carb bread is necessarily complicated--it's not as simple as subbing Splenda for sugar, given the chemistry involved). 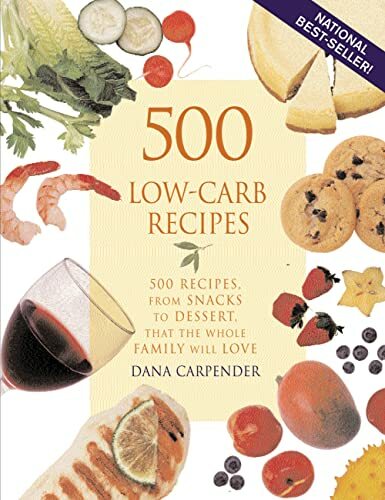 I especially like her vegetable and salad recipes (I'm always looking for ways to make myself eat more vegetables, since I ate practically none before low-carbing it), and I wouldn't have made it this far without Dana's cracker recipes, using sunflower seeds as the main ingredient. Other favorites are the smoky cauliflower and sausage, polynesian pork, moo shu pork, and the infamous heroin wings. After nearly 4 months of low carbing, I forget to check the other cookbooks for new ideas, but I'm probably close to 100 recipes down from Dana's book already. I wish it came in a spiral binder, so it was a little easier to use, but that would make it more costly, and everyone should have this book! Low carb cookbook that you will definitely use!!!! I own quite a few low carb cookbooks and I rank this as my favorite in terms of taste, ease of use and value. Boy, for the amount I paid for this through Amazon, I got a whopping 500 recipes!!! I have tried a few recipes and have been very pleased with this cookbook. I love the all-meat chili (I use it as the meat for my taco salad with sour cream, cheese and lettuce), chicken florentine (was this easy and delicious), and my young son loves the heroin wings. The marinades for chicken are also scrumptious. I look forward to trying more of her recipes. Because of her suggestions, I finally tried spaghetti squash and love it!!! The tips in the book are also very helpful (now I can really make great omelets!). I have yet to try the desserts and breads which do use some specialized ingredients but these are very easy to find in your local health food store or any reputable internet low carb supplier (there are a lot out there) and their prices are reasonable. I just have not had the chance to buy the ingredients but I am raring to dig into one of her chocolate chip cookies! Thank you, Dana, for sharing with us your culinary skills and making low carb an enjoyable and delectable eating lifestyle. If you're into the whole low carb thing and are looking for recipes to keep you on track, then this is your book. I found it to be organized well and gladly give it 5 stars. Also recommend "The Multifidus Back Pain Solution" if you suffer from back pain. A Great Low Carb Diet Saver! Just when I think I can't think of anything else to make for dinner that will fit into my low carb lifestyle, I purchased this book. It was the best investment I could make in my low carb lifestyle. The recipes are pretty easy and there are tons of great ideas. She also has many diversified recipes, I already made the Indian Cabbage and the Spinach Paneer, the chocolate cheesecake and a few others. I must say the dishes were not gourmet but they taste pretty good for low carb cooking. I will continue to reach for the book when I am out of ideas and tailor the recipes to my tastes, the cookbook is worth the money and I think you will like it too. No way is this book worth $20, or even $14. It's a mish-mosh of recipes quickly thrown together to cash in on the popularity of lo-carb diets. The author is interested in making a few bucks, not in presenting you with good recipes. Some of the recipes are so basic and low-brow that they reminded me of my first days of cooking as a college student. Others were complete disasters. One of the reasons I bought the book was that it has several recipes for lo-carb breads. I went out and bought all the expensive, hard-to find ingredients and made them carefully according to the recipes. Not one of them was even edible. If you really find food fascinating--the idea of food, working with food, and the eating of food--then Culinary Artistry should be on your bookshelf. There are two books at work here. One is What Chefs Have to Say About the Foods They Create. The other is Fun with Food Spread Sheets. A cynic might suggest that after putting together Becoming a Chef, the authors had so much leftover interview material that Culinary Artistry was but the natural outcome. The chef's point of view, however, would be to make use of everything passing through the kitchen, to throw nothing away. In other words, if Becoming a Chef is an entrée, then Culinary Artistry is the special of the day. The book is divided into sections that discuss and reach out to chefs to join in that discussion of such ideas as the chef as artist, dealing with sensory perception in food, composing with flavors, putting a dish together, putting together an entire menu, and standing back to admire the growth of a personal cuisine. This is thoughtful material. It is not how-to material. These guided conversations are made practical for the home cook by charts such as which foods are in season and when, the basic flavors of foods (bananas are sweet; anchovies are salty), food matches made in heaven (lamb chops with aioli or ginger or shallots), seasoning matches made in heaven (dill and salmon), flavors of the world (Armenia means parsley and yogurt), common accompaniments to entrées (beef and potatoes), and, most fun of all, the desert-island lists of many of the chefs quoted so extensively throughout the text. Many recipes accompany the text. I am a self-taught home cook who enjoys the activities of the kitchen. I entered the cooking arena one of the standard ways, using cookbooks. 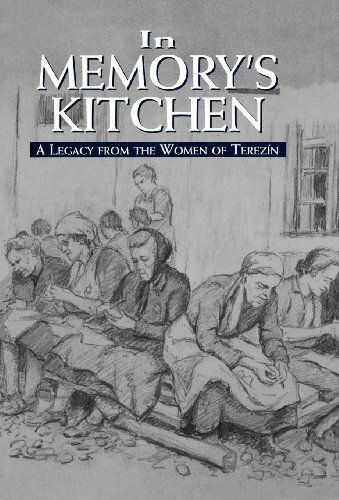 Collections of recipes familarized me with the techniques and ethnic cooking styles. Gradually, my cookbook collection included reference books that provided some of the theory behind tastes and preparation styles. Gold's 1-2-3 series, Peterson's Sauces, and others introduced to me the philosophies that allow a cook to go beyond mimicking a recipe to improvising and even creating a dish. Culinary Artistry is perhaps the best available reference for learning about the traditions of combining flavors and food groups. It contains vital information that I suspect is taught only in some of the culinary schools. It provides valuable charts of information about cooking and menu planning. The book contains sections on Menus, including a seasonality chart and a chart explaining successful seasoning combinations. There is a section for Composing Flavors, the highlight of which is a chart showing successful food contrasts. Another section involves Composing A Dish. Here there is a chart showing great food matches and one showing seasoning matches. The Composing A Menu section offers a chart showing frequent accompaniments to meats and paragraphs presenting theories about Hors Douevres, Cheeses, and Desserts. This was a sparse and incomplete passage in an otherwise comprehensive book. Finally, there was a fun section addressing the Evolution of Chef's Styles. Here the authors provide sample menus comparing chef's offerings from earlier decades to their present day productions. The volume offers multiple anecdotes, quotes, and side bars concerning the views of popular chefs. Various recipes are interspersed to illustrate the principles. My one criticism was that the book was laid out like a college textbook. Photos, captions, quotes, highlighted lines, sidebars, and other areas compete on the same page, magazine style. The book serves as reference, frequently glanced at rather than read straight through as a narrative. "FLAVOR MATCHMAKING: Some cooks look to books not for precise ingredients and specific instructions, but for inspiration. I've got a book for those cooks. 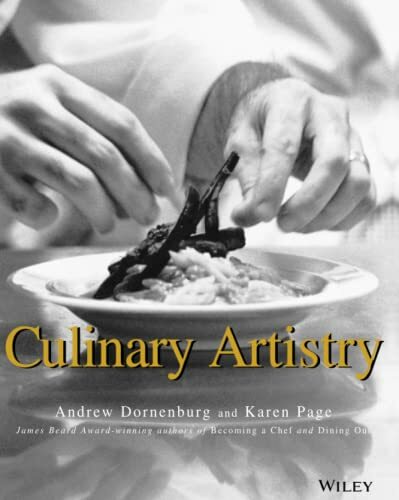 It's the loftily named CULINARY ARTISTRY by Andrew Dornenburg and Karen Page (1996), also the authors of the better known BECOMING A CHEF. It's not a cookbook per se. Nor is it a treatise on the techniques every cook ought to know. And it's certainly not a collection of culinary prose. It's more a style manual for those who need to find out if a certain something will go with another certain something. The most relevant information is found in the aptly named section 'Matches Made In Heaven.' Arranged alphabetically, the list comprises about 328 ingredients and seasonings and, for each ingredient listed, the authors provide several complementary flavors. It may not come as any surprise that the entries under beef ribs read ginger, horseradish, mustard, potatoes, tomatoes. But it is incredibly liberating, when in a chicken rut, to alight on the appropriate page and find 57 compatible ingredients for a plain old hen. When the vegetable bin is overflowing with leafy greens or I'm flummoxed over a side dish for a dinner party, I consider it a godsend to flip through the pages and decide on mustard with the greens and walnuts with the watercress. And it's inspiring to be reminded in the midst of Thanksgiving chaos that perhaps that pear dish needs a sprinkling of black pepper rather than a drizzle of honey. As with any reference work, it's not the entire book I value so much as a particular page or two in a desperate moment. 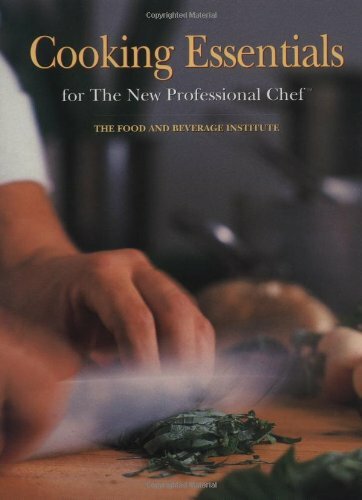 "Culinary Artistry" came to my attention as an Amazon.com recommendation which mentioned that if I enjoyed the authors' book "The New American Chef" (which I did, very much), that I might also enjoy this book. Amazon got it right in spades: "Culinary Artistry" is yet another breakthrough approach to thinking about food by these authors. Cuisines, menus, dishes and flavors are both constructed and deconstructed, providing the experienced cook with a blueprint for successful experimentation. This book is an invaluable resource to anyone confident enough in the kitchen to want to innovate, yet smart enough to know that it's important to know the "rules" before you try to break them successfully. This is an absolutely brilliant book, one that I have referred to almost daily since it's been in my possession. Culinary Artistry deserves 10 STARS! Culinary Artistry deserves 10 stars for being the most important book in my kitchen!! When I'm stumped to make a new dish, I can open to any page of this book and come up with a new idea for any season, any occasion. This book fosters creativity like no other book I've ever read. Every other professional chef I know considers Culinary Artistry their secret weapon at the restaurant when coming up with a special menu or just a special for the night. I can't say enough about what a revolutionary book this is for people who know the fundamentals of cooking but are always striving to develop their knowledge, technique and cuisine. I learn something new every time I open this incredible book. I wish I could recommend this book a little higher because it is very beautiful. And I wish that I could make more of the recipes in this book because the pictures of the finished dishes look beautiful as well. But I'm not a chef and I'm not a caterer, I'm a beginning cook and while I do have patience and desire to learn to cook, I don't have hours each evening to prepare dinner. I'm hoping to use this book in the future when I have a little more experience under my belt. I think it's a little misleading because it represents itself as a cookbook to help you learn how to cook. If I had received this as a gift, I may not have been so disappointed but this was quite an investment for a cookbook. necessities to start their adventure. appetizers of the new generation. turkey.There are recipes for all seasons and holidays. are enlivened with newer ways of decorating your table. Everything is a feast for the senses. lasagna to have during the football game. get a surprise this year under her tree. when you are cooking or anytime of the day. your standard gift wrap for weddings,but it was beautiful. 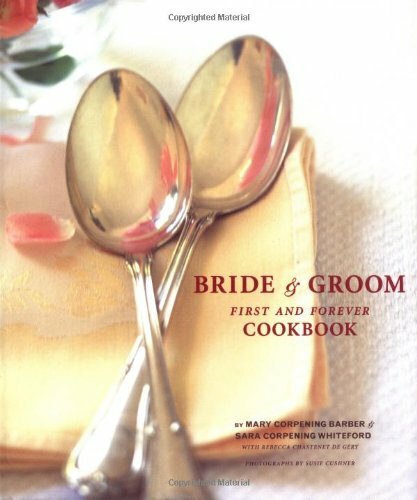 I received this cookbook at my bridal shower this spring, and what a wonderful delight it has been! The book itself is gorgeous, with huge color photos of the fully prepared dishes. But what is best about this cookbook is that the meals that you create are beautiful and delicious. I am not an expert cook (still learning, but hey - I just got married so the family expectations are still low!) and I find this cookbook neither too easy nor too challenging. The breakfast strata, red grape and feta salad, and prosciutto and mushroom chicken are my particular favorites. I highly recommend this book. I am what is known as a "cookbook junkie". I buy them to try the recipes, but mostly just to read. Let me tell you, I have tried almost every recipe in this book. They are easy to follow with good pictures and good suggestions for making it a meal. I turn to it on a harried evening when I don't feel like cooking and whenever I am going to have a dinner party. I am searching for more books by these ladies. Awesome. Much like my favorite chicken recipe from "Bride & Groom," this book is "divine"! I have quite the collection of cookbooks, but none gets more use than this one. And, it's managed to do what no other has: gotten my husband to help out!